Using a VPN is one way to ensure your online safety. They have become a really popular tool to have and while it is not going to be the “be all and end all” for your online privacy and safety concerns, it is great at hiding your internet presence and as a result, it can stop the selling of your browsing history. A VPN is designed to encrypt your online use. Its purpose is to prevent service providers from accessing your data, along with stopping anyone else who might be tempted to gain your search history. Why should you want to prevent your search history from being seen? One of the longest running modern jokes goes along the lines of “If I die, please clear my browsing history”. But while this has been an innocent joke meant about loved ones not seeing what you read online, these days protecting your browser history is about a lot more than that. From marketers to hackers, there are many people who could benefit from having the data. Browser histories can give insight into not only your interests but they can reveal the type of person you are. Marketers can use such data to design incredibly accurate ads and then target you with Google Ads. And you can only imagine what hackers can do with sensitive information your browser might save. So, in this day and age, it is more important than ever before to make sure that you are protected online. These days it’s just not enough to practice basic internet safety when you are spending a lot of your time online. · Remote access control: Think of it as a type of online access control system. You can remotely access your VPN from wherever you are. This is a fantastic benefit if you are looking to improve company productivity. · Safely share files: You need no longer worry about sharing files, to groups of people, over a long period of time. · Everything is encrypted: The moment you connect to the internet via a VPN, your data is encrypted and will be kept secure. · You stay anonymous: When you access the net through a VPN, your presence and any information that might give away who you are will be completely private. · IP address changes: Should you need a new IP address, your VPN will be able to provide you with one. You cannot be too cautious when using the net, especially if you are doing most of your business via the internet. And while you need to be safe online, you also need to make sure that you are also secure in other ways. OnGuard is one of South Africa’s leading security product providers. 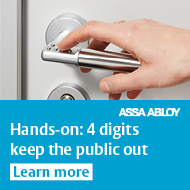 We simplify access control systems and our devices make tour guards more efficient.